Wipes clean and maintain a hygienic breakroom. 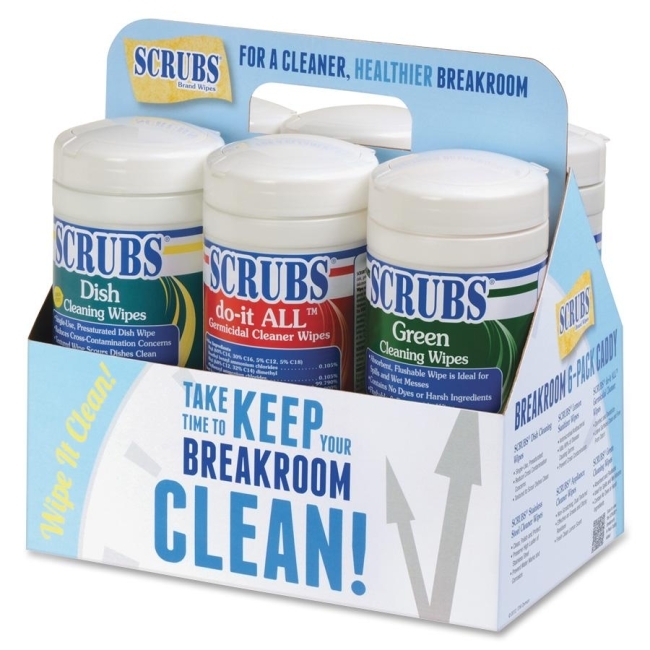 To make sure you have the tools you need, this six pack of cleaning wipes contains one container of each of the following Scrubs wipes: Green Cleanup Wipes, Stainless Steel Cleaner Wipes, Lemon Hand Sanitizer Wipes, Disinfecting Wipes, Appliance Cleaner Wipes and Dish Cleaning Wipes. Wipes come in a convenient caddy for easy use.